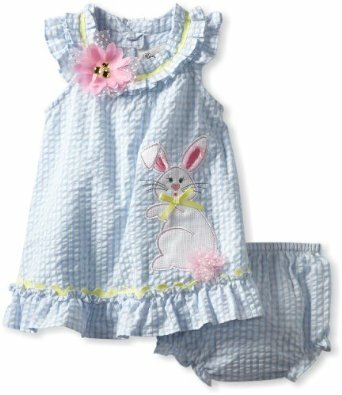 Adorable periwinkle seersucker dress with bunny applique and ruffles along the collar. In cotton. By Rare Editions. Machine wash. Imported.